Most addiction treatment and behavioral health providers know that major change is coming to the industry, but few are making the preparations necessary to take advantage of it. 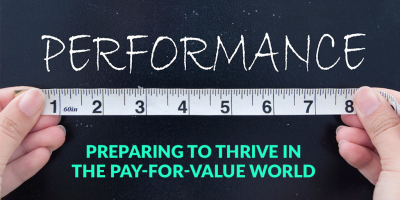 This article outlines what it’s going to take to thrive in the coming pay-for-value world. The first thing you need to know is that these changes are happening faster than you think. Already, almost 20% of insured Americans are attributed to an Accountable Care Organization (ACO), Managed Care Organization (MCO), or health home that typically keeps a large portion of the savings if they can provide care to their members at less than the agreed-upon annual rate. Because of this, it is in the self-interest of MCOs and ACOs to fund reasonably-priced addiction treatment if they can be confident that it will reduce their future costs of care for these patients. Organizations with value-based payment structures want to contract with effective substance abuse disorder treatment facilities. Their problem is that they are having a hard time identifying them. Dr. Kristofer Smith, the Medical Director of Northwell Health Solutions, a $8 billion health system in the Northeast, talked about the frustrations of identifying good organizations to contract with at a recent Open Minds Strategy & Innovation conference. He said that organizations often contact Northwell asking to be part of their network. However, simply saying “we’re willing to share the risks” isn’t good enough, according to Smith. “If they don’t have data, I won’t meet with them”. What percentage of your clients succeed in staying clean and sober after treatment? What does it cost per patient to achieve this success rate? Will the cost of addiction treatment be more than offset by reductions in the patient’s future medical costs? While behavioral health and addiction treatment programs have until recently been able to get away with not answering these difficult questions, this is changing rapidly. If your goal is to be an accepted provider for a value-based payer organization two years from now, you’ve no time to waste. Because it will probably take between 18 and 24 months to generate one-year post-treatment outcomes for an adequate number of patients, you need to start measuring your outcomes today. Ready to get started? Vista’s RECOVERY 20/20 outcomes research can provide you with the hard data you need to prove to value-based payer organizations that your program should be included in their preferred network because it will save them money long-term.